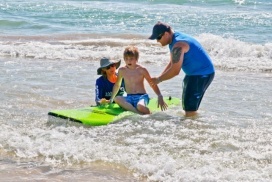 Research shows that children with physical or mental disabilities benefit from surfing by; encouraging focus, spacial awareness, being confident and comfortable in the water, overcoming fear and understanding a sense of accomplishment. We are committed to this outcome and the opportunity it provides to help change lives, create beautiful memories, and share the stoke of surfing. 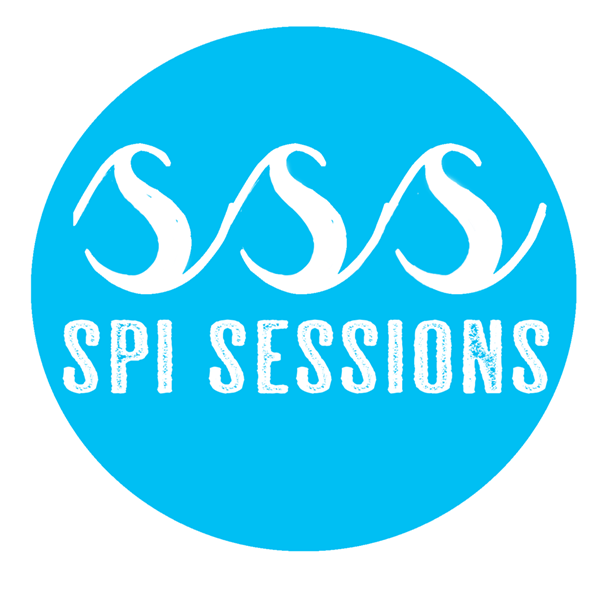 SPI Sessions offers FREE Surf Clinics to the Special Needs Youth of the Rio Grande Valley. 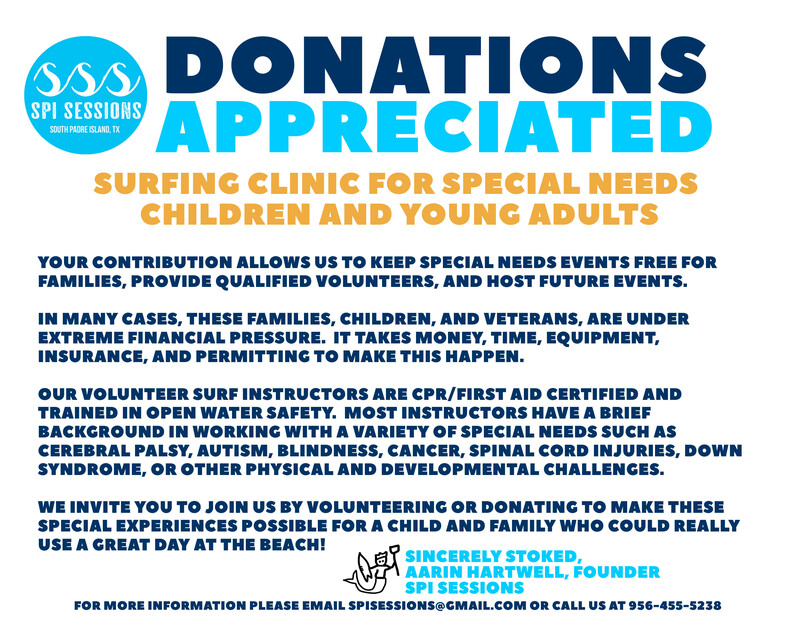 Our 4th Special Needs Surfing Clinic will be held Saturday, June 15, 2019. We are excited to provide this event for the Capable Kids Lower Valley Chapter. To register your child as a participant or to volunteer, please fill out according online form or look for updated information on our facebook page! Capable Kids is a non-profit organization dedicated to improving the quality of life for children with disabilities and their families by enabling them to participate in various events and activities throughout the community, increase knowledge on topics for children with special needs, as well as advocate for improved accommodations in the community. 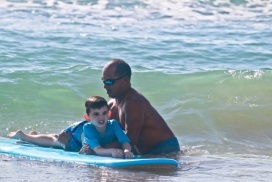 We are offering free surfing lessons to special needs children and youth adults from ages 4-25. We have no limits on disabilities. WHEN are the surfing clinics? WHERE do the Surfing Clinics take place? HOW do I register for the Surfing Clinic ? We have created an online Registration Form you will need to complete to register . This also includes a waiver for your registration. Feel free to call us at 956-455-5238 if you have any questions. Of course! We are always happy to include parents, family and any and all support team! We hope you can help us out by taking time to give us a review on TripAdvisor, Google, Yelp or our Social Media platforms! YOUR contribution allows us to keep special needs events free for families, provide qualified volunteers, and host future events. In many cases, these families, children, and veterans, are under extreme financial pressure. It takes money, time, equipment, insurance, and permitting to make this happen. 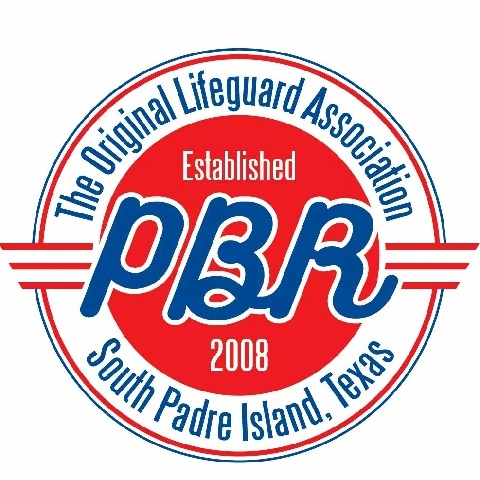 Our volunteer surf instructors are CPR/First Aid Certified and trained in open water safety. Most instructors have a brief background in working with a variety of special needs such as cerebral palsy, autism, blindness, cancer, spinal cord injuries, down syndrome, or other physical and developmental challenges. 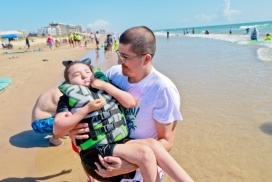 We invite you to join us by volunteering or donating to make these special experiences possible for a child and family who could really use a great day at the beach! Share our Info to Donors! 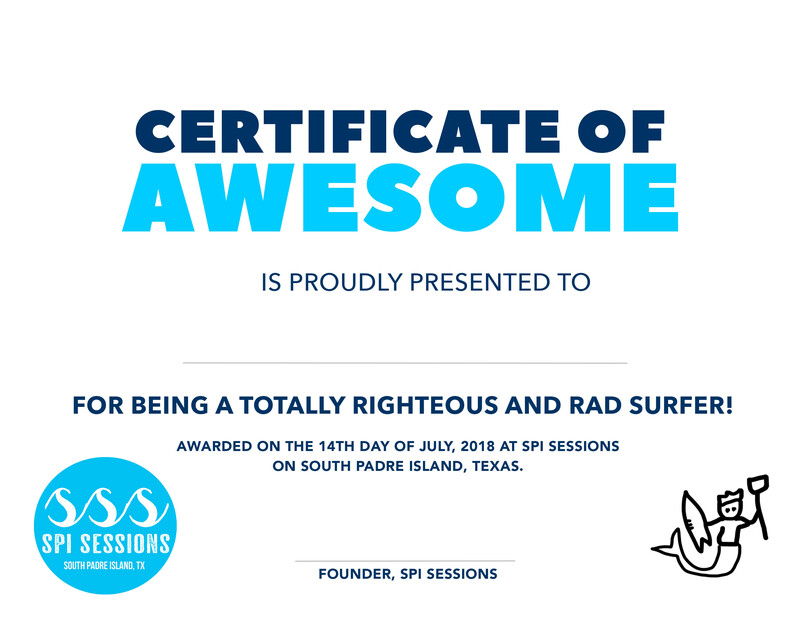 In the summer of 2018, our first SPI Sessions Special Needs Surfing Clinic was held. A month later, the second in partnership with the Capable Kids Foundation. We look forward to growing our surfing clinic opportunities with many more non-profits and foundations in the RGV. 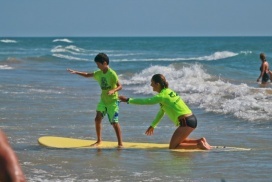 In partnership with the Capable Kids Foundation LRGV Chapter, our 2nd Special Needs Surfing Clinic was made possible. We had over 50 participants, twice as many volunteers and lots of children that have never experienced surfing before. 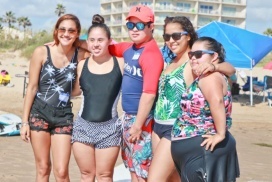 Our first Special Needs Surfing Clinic was a great success. We had 30 registered participants and wonderful sponsors to help make the event move forward.